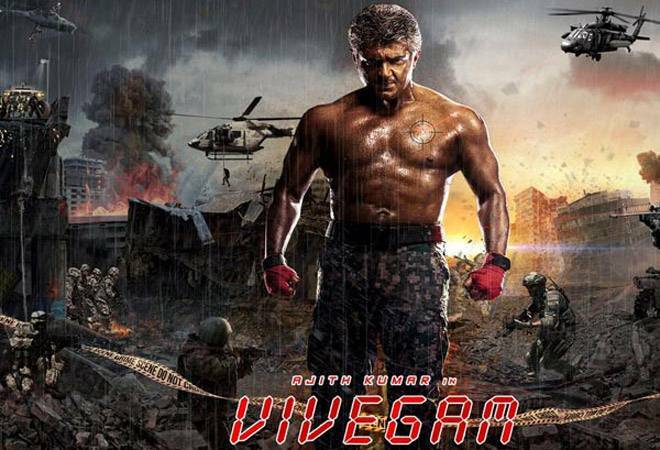 Ajith Kumar starrer Vivegam crossed Rs 160 crore mark on Friday, according to trade analyst Sumit Kadel. Spy thriller Vivegam, that released on August 24 to an overwhelming response from the audience all over the world, seems unstoppable at the box office. Ajith Kumar starrer Vivegam crossed Rs 160 crore mark on Friday, according to trade analyst Sumit Kadel. Famous trade expert Ramesh Bala has also retweeted Sumit Kadel's tweet. Despite opening to mixed reviews, the movie became a blockbuster hit surpassing the opening day collection of Rajinikanth's Kabali in Chennai. On its first day, Vivegam collected Rs 33.08 crore and went on to earn Rs 100 crore in its opening weekend. A few days ago, it was also reported that Ajith's movie Vivegam broke the record of Baahubali The Beginning at the Chennai box office. Vivegam has been praised by the audience for its thrilling plot line and Ajith's action-packed performance. Ajith's star value is also one of the many reasons behind Vivegam's success. It is a comeback movie for Ajith who has returned to the silver screen nearly after two years. Directed by Siruthai Siva, Vivegam is based on the life story of an Interpol officer. Apart from Ajith Kumar playing the lead role, the film also stars Kajal Aggarwal, Vivek Oberoi and Akshara Haasan in pivotal roles. Vivek Oberoi marks his debut in the Tamil film industry with this movie.